The Story Sessions are back! The Technician’s Tales – stories with a Sci Fi leaning. with tales of extraterrestrials, space walks, opinionated machinery, and all sorts of strange, otherworldly things. £3 on the door or for advance booking. Drinks snacks and books available. 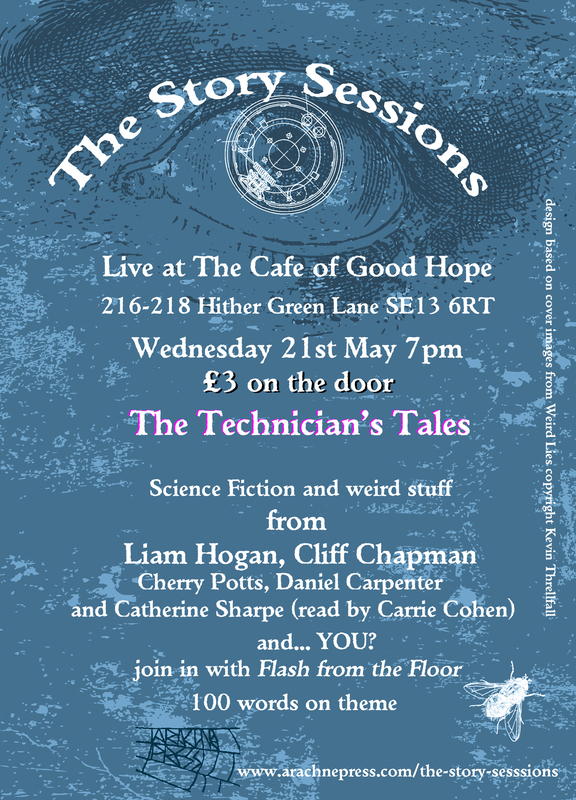 This entry was posted in Events, join in, live literature, Performance, readings, Story Sessions and tagged Café of Good Hope, Carrie Cohen, Catherine Sharpe, Cherry Potts, Cliff Chapman, Daniel Carpenter, Liam Hogan, live literature, science fiction, The Story Sessions by Cherry Potts. Bookmark the permalink.